It takes just 6 steps to make this cute container garden display rack! Here are the instructions. 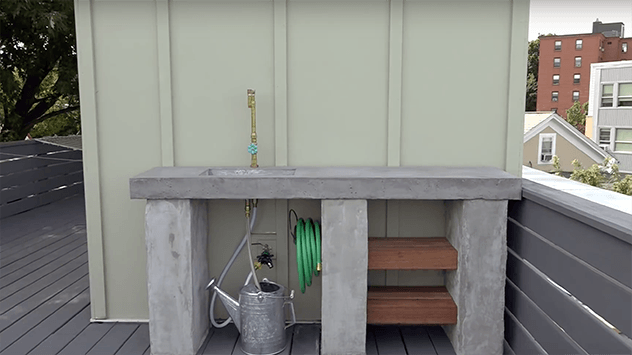 This outdoor potting counter features an industrial, concrete-based design. Learn how to make it, step by step, right here! 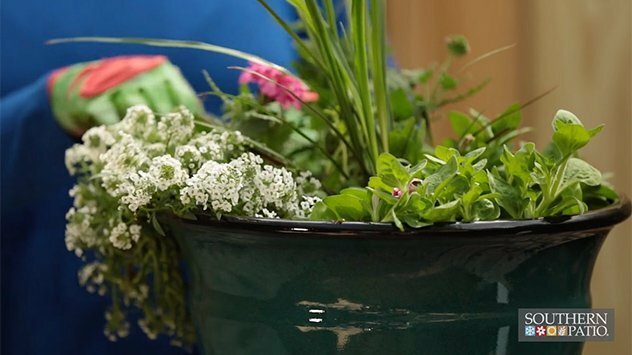 Here’s a tip to make your patio stand out: plant a “Thriller, Filler, Spiller.” It’s simply three plants in one container that make a big statement. Southern Patio’s drop-in self-watering planter helps keep your garden looking fresh, and your plants watered, green and beautiful. 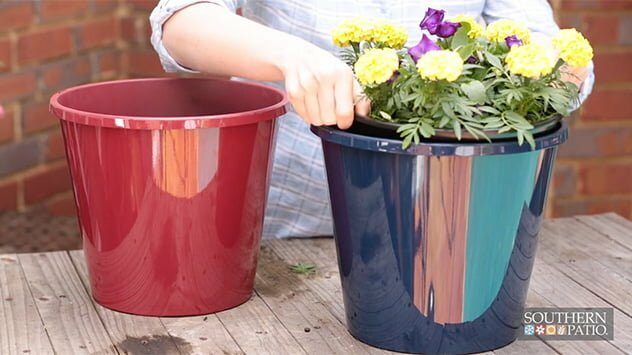 Self-watering planters make life easy for busy gardeners. 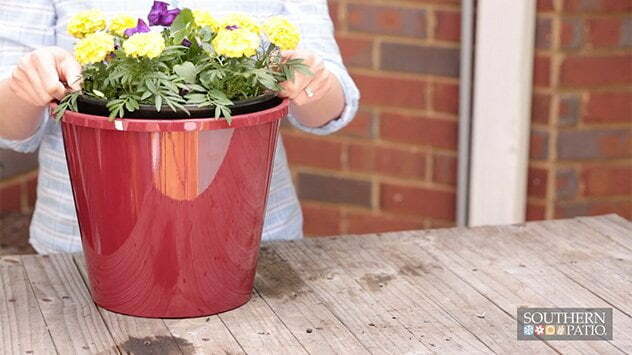 Southern Patio’s easy-to-use insert converts most planters to self-watering. 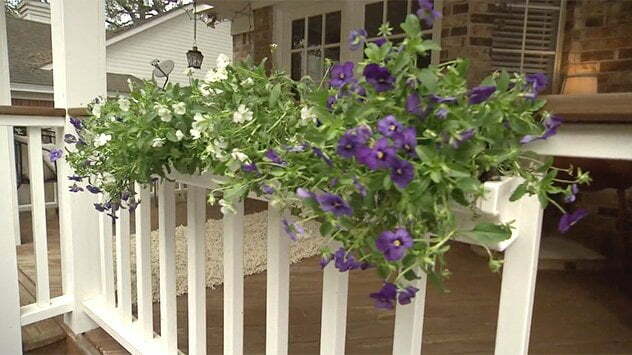 Here’s a tip for dressing up your porch railing. Use plastic rain gutters as flower boxes rather than building them out of wood. 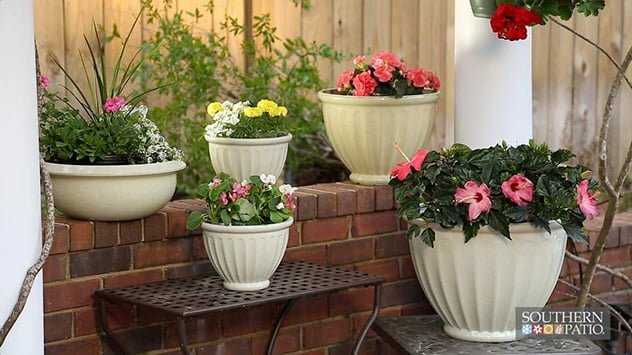 Planters filled with greenery or flowers add pizzazz to your patio, especially when you mix and match containers to create a stunning scene. Here are some tips from Southern Patio.